Prof Brian Hughes (NUIG) will run a one day workshop on Saturday 12th as part of the Conference programme. The workshop, entitled Bad science, pseudoscience, and anti-science in psychology: Professional obligations and courses of action, will form Stream C of the programme and is open to Conference delegates to attend from 10.00 – 16.00. This workshop will support participants in addressing and responding to controversies regarding scientific and evidence-based psychology. As such, it will support participants in promoting psychology, in securing the cooperation of stakeholders in their work, and in advocating for public policy to be informed by psychological expertise. This workshop is aimed at psychologists from all areas of specialism. The PSI Code of Professional Ethics highlights that psychologists are scientist-practitioners whose professional practice is grounded in a body of scientific knowledge. 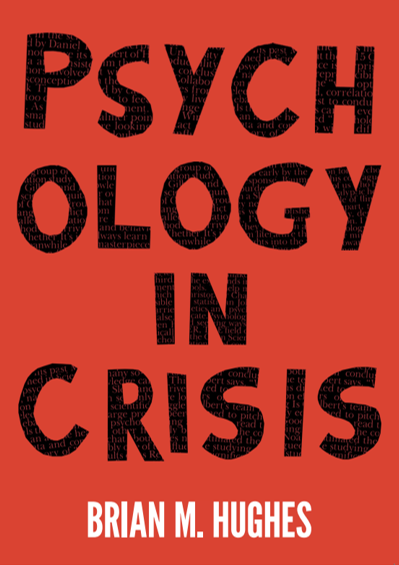 Moreover, the Code requires that psychologists remain up-to-date on latest research methods and techniques, be aware of their “scientific responsibilities” to clients, and assume overall ethical responsibility for the scientific activities of psychologists whose work they supervise (e.g., students, trainees, assistants, mentees, and employees). Nonetheless, because of its popular appeal as a discipline, psychology often attracts attention from audiences who hold ambivalent, or even deeply negative, views about science. Sometimes psychologists themselves, or their colleagues, exhibit negative attitudes towards the scientific basis of their field. This workshop will support participants in considering, discussing, and defending the scientific aspect of psychology, and will examine the extent to which imperfect science threatens the impact and credibility of our work. Participants will be introduced to practical approaches to: (a) achieving appropriate self-evaluation as a scientist-practitioner; (b) approaching sensitive conflicts around pseudoscientific ideas or practices; (c) to counteracting pseudoscientific advocacy (including in professional domains), and (d) promoting positive views about psychology in social and mainstream media. Brian Hughes is Professor of Psychology at the National University of Ireland, Galway. He is the author of Rethinking Psychology: Good Science, Bad Science, Pseudoscience (2016, Palgrave), and Conceptual and Historical Issues in Psychology (2012, Prentice-Hall), as well as over 100 academic journal articles and chapters. He served as President of the international Stress and Anxiety Research Society from 2014 to 2016 and as President of PSI from 2004 to 2005. In 2015 he was made a Fellow of PSI. As well as his permanent position at NUI Galway, he has held visiting academic positions at a number of universities internationally, including King’s College London, Leiden University, and the University of Birmingham. While specialising in research on stress and psychophysiology, Brian has also written extensively on the status of science in psychology, both for professional audiences via academic journals and for wider popular audiences via blogs and general media. He has been a contributor to the Irish Times and the Irish Independent, and to several radio documentaries and talk shows dealing with science, psychology, and philosophy.